Microsatellite instability (MSI) might sound like something a NASA engineer would study. But it’s actually a molecular abnormality found in 15 percent of colorectal cancers, explains Mayo Clinic medical oncologist and gastroenterologist Frank A. Sinicrope, M.D., who is testing an immunotherapy drug that could help patients with this subtype of colorectal cancer. Just recently, researchers discovered why colorectal cancer with MSI can evade the body’s immune system, grow and become lethal: checkpoint proteins present on MSI tumors allow the cancer to manipulate the body’s defenses. 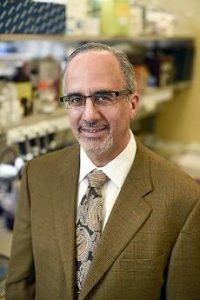 Armed with this knowledge, Dr. Sinicrope and his team will conduct a national clinical trial to test whether a drug called an immune checkpoint inhibitor can prevent the cancer from dodging death. The trial will enroll patients with stage III colon cancer with MSI who have already had surgery to treat the cancer. “There is a great deal of interest in the trial and a lot of optimism based upon remarkable results seen for immune checkpoint inhibitors in patients with metastatic colorectal cancers,” Dr. Sinicrope says. Colorectal cancer with MSI is typically diagnosed at an earlier stage, and patients do better than those without the molecular abnormality. But the survival advantage is lost once the cancer spreads to other sites in the body. MSI has a genetic basis. It results from the loss of function in one of the genes that repair errors in the DNA sequence when DNA is replicated. Tumors with MSI mutate rapidly, acquiring hundreds to thousands of mutations. This causes the immune system to kick into high gear. It recognizes the tumor and dispatches an army of T cells to attack. Yet the cancer has developed ways to escape this attack. Researchers observed this for many years and didn’t understand how it was possible. 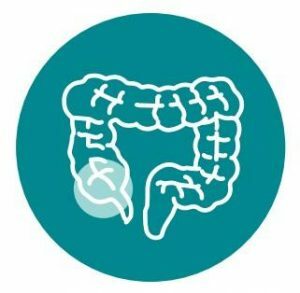 Colorectal cancer with microsatellite instability (MSI) has specific features, including a tendency for tumors to be on the right side of the colon. MSI tumors mutate rapidly and grow to a large size. Researchers now know that colorectal cancer with MSI can tap into checkpoints, an immune system pathway used to distinguish foreign cells from normal cells and signal whether or not to attack cells. Checkpoint proteins present on MSI tumors bind to receptors on T cells so those T cells can’t be activated in an attack. By exploiting the immune system’s checkpoints, MSI tumors can fly under the radar. Immunotherapy prompts the immune system to refocus on fighting cancer. Immunotherapy drugs are new, but the idea of immunotherapy is not. Some of the foundational discoveries in checkpoints were made two decades ago in a series of experiments performed by Mayo Clinic researchers. An immunotherapy drug called an immune checkpoint inhibitor is an antibody that blocks the cancer from evading attack and boosts immune response against the cancer. Such drugs have shown promise in clinical trials on metastatic colorectal cancer with MSI — when the cancer has spread to other sites in the body and is often fatal. The U.S. Food and Drug Administration approved in May 2017 the use of one immune checkpoint inhibitor for patients with this kind of cancer who have no other options for treatment. Determined to change patient care, Dr. Sinicrope will test a checkpoint inhibitor called atezolizumab in a phase III trial, the only one to date focused on colon cancer before it metastasizes and turns lethal. “We never had drugs before that could effectively modulate the immune system in order to achieve the outcomes that are being observed in certain tumor types,” Dr. Sinicrope says. In the trial, the checkpoint inhibitor will target micrometastases, tiny tumor cells left behind after surgery. These cells can’t be detected with conventional tests and are responsible for the return of the cancer. The trial will enroll 700 patients at Mayo Clinic campuses in Rochester, Minnesota; Jacksonville, Florida; Scottsdale, Arizona; and at multiple other sites across the U.S. through the Alliance for Clinical Trials in Oncology. Some patients will receive the checkpoint inhibitor in addition to chemotherapy, and others will receive only chemotherapy. After treatment, which could last up to one year, doctors will monitor patients for recurrence and survival for three years. In addition to seeking better therapies for patients, Dr. Sinicrope’s research focuses on cancer biomarkers. Biomarkers are molecular substances found in body fluids or tissues that can alert doctors to disease. They are used increasingly in screening for the early detection of cancer. 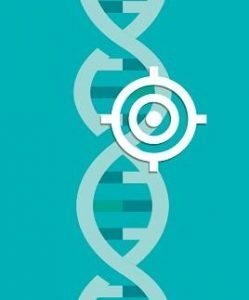 Biomarkers can also predict the likelihood of the recurrence or spread of cancer. And they can indicate whether treatment, like immunotherapy, may work in certain patients. MSI is considered a predictive biomarker for treatment with checkpoint inhibitors, Dr. Sinicrope says. Testing for MSI at the time of a colorectal cancer diagnosis is increasing around the U.S. and now is recommended for all newly diagnosed patients. MSI is seen in a range of other cancers as well, including endometrial cancer. Discovering biomarkers like MSI and categorizing the immune composition of tumors can help transform patient care, Dr. Sinicrope explains. In the case of MSI tumors, the evolving perspective is to treat the molecular abnormality — not necessarily the tumor type, he says.